SwiftBA is a group of iOS developers from Buenos Aires who are interested in sharing their knowledge, of the Swift language and new technologies in iOS development. 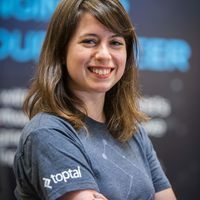 The next meetup takes place on May 4th at 6:30pm, with a talk from Toptal developer Francisco Reynolds. Francisco will explain how a paradigm created by Redux allows us to change the way our components communicate with each other. He will show how to use ReSwift to create a unidirectional data flow and thus achieve a different, more concise and ordered code.